D&K Acquires NH Survey Firm - DuBois & King, Inc.
DuBois & King (D&K) announces the acquisition of David A. Mann Land Survey, a Keene, New Hampshire-based survey firm. The firm will continue providing professional services under the name of David A. Mann Land Survey, a division of DuBois & King. 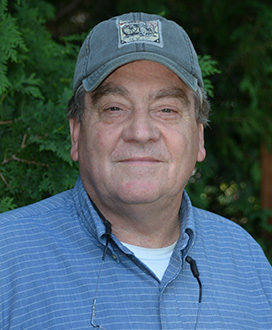 Licensed in New Hampshire and Vermont, David Mann, LLS, has 45 years of land surveying experience and has been providing survey services in both states for 25 years. Over his professional career, he has forged strong client relationships in southern New Hampshire and Vermont. David will augment survey services for D&K’s New Hampshire offices and projects and for the firm’s projects in southern Vermont. His experience as a licensed land surveyor brings increased depth to D&K’s survey and boundary work. The acquisition of David A. Mann Survey brings three new full-time staff members to D&K. Along with David Mann, Toni Mann and Wesley Mann join D&K. Toni will continue to serve as an Administrative Assistant in the Keene office, and Wesley Mann will serve as Survey Party Chief working alongside David. David’s professional career has included both owning and operating his own survey firm, as well as managing survey groups for consulting firms. David Mann will serve as D&K’s office manager for the Keene location and will be in responsible charge of operations and business development. David is active in multiple professional associations and has served as past president of the New Hampshire Land Surveyors Association. Welcome, David, Toni, and Wesley! Contact David at dmann@dubois-king.com.